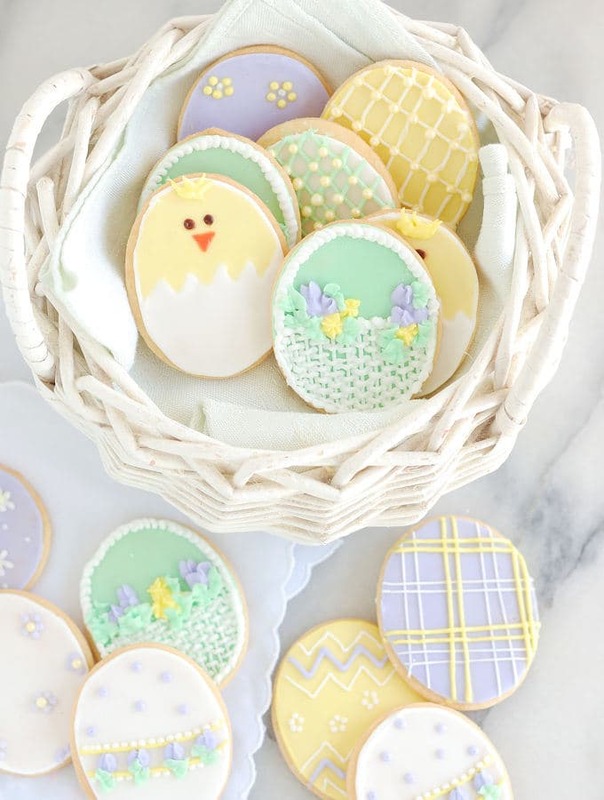 These Easter decorated sugar cookies are a great place to start practicing, or to perfect, your piping skills. You can make the cookies as simple or elaborate as you like. Once you’ve got the technique, adapt it to any holiday or occasion. 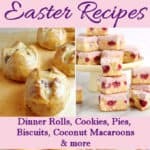 Disclosure: I was financially compensated to create the recipe for this post and I received a product sample for review purposes. The opinions are completely my own based on my experience. 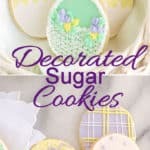 I have included a good sugar cookie recipe in this post, but mostly I’m focusing on decorating Easter cookies today. I’m really excited about this post because I got to use my decorating skills again. For 10 years I made and decorated custom cakes and spent many an hour with a piping bag in my hand in front of a multi-tier cake. Since I mostly bake for the blog these days, it was fun to get into detailed piping work again. You can see some of my cake creations on this Facebook page. Decorated sugar cookies are a great place to start practicing, or to perfect, your piping skills. 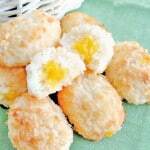 You can make the cookies as simple or elaborate as you like for any occasion. 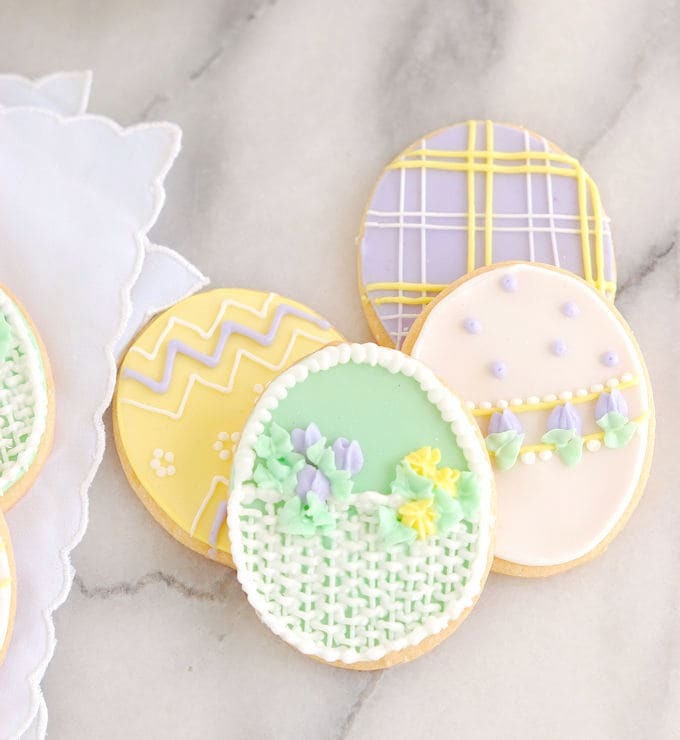 I used an egg cookie cutter to make Easter decorated cookies. Just for fun, check out the work of Marta Torres who makes some truly mind-blowing decorated cookies that are absolutely works of art. 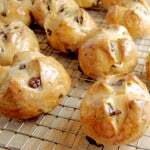 Roll the dough to 1/8″ thick, cut the desired shapes and bake until the edges begin to brown. Cover the bowl of royal icing with a damp towel to prevent it from drying out. 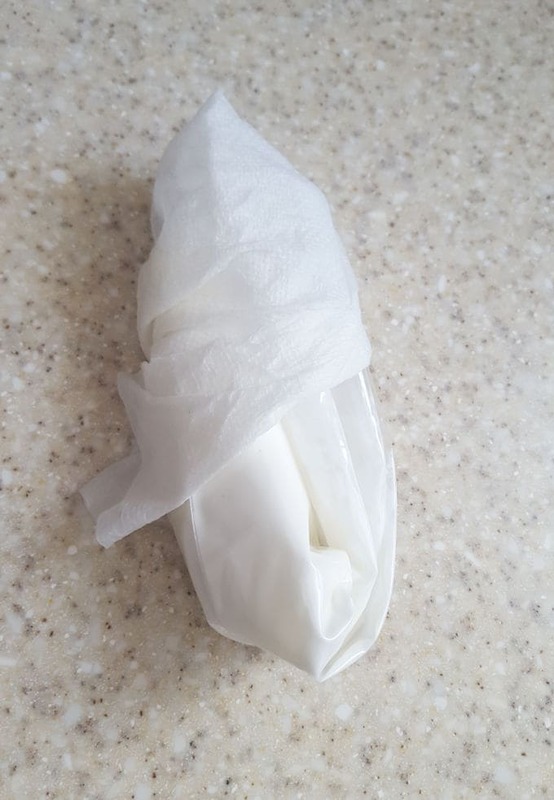 When not being used, wrap the tip of the piping bag in a damp towel to prevent it from drying out. Squeeze the bag gently and let the royal icing drop onto the cookie. Don’t force it. Gently move the bag to draw the line. 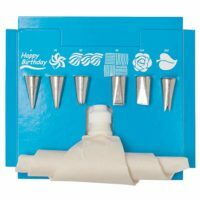 Use a damp artist’s brush to straighten out the icing and to fill in any gaps in the flooded icing. 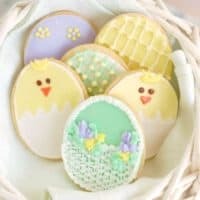 I made Easter egg cookies using a simple oval cookie cutter. Of course you can use the same recipe to make cookies for any occasion, using whichever cookie cutter you’d like. 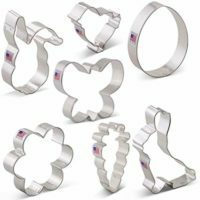 The exact number of cookies will vary based on the shape and size of the cookie cutter you use. 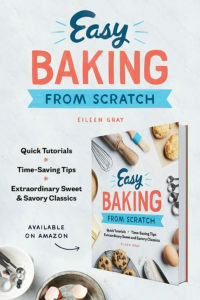 You can also use this dough to make sandwich cookies or even to line a tart shell. Whichever shape and design you’re making, the process for decorating is the same. Use a slightly thicker royal icing (the proportions in the recipe) for outlining the design. You’ll need to thin out the icing (I added just a few drops of water) for “flooding” the cookie. I also used the thicker icing for piping the design details. I used a plain tip for the basket weave, lines and dots. I used a rose tip for the rosebuds, a star tip for the yellow flowers and a leaf tip for the leaves. 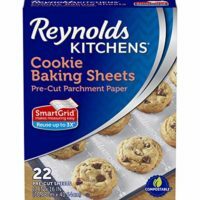 If you love these cookies as much as I do, please consider leaving a 5 star review. 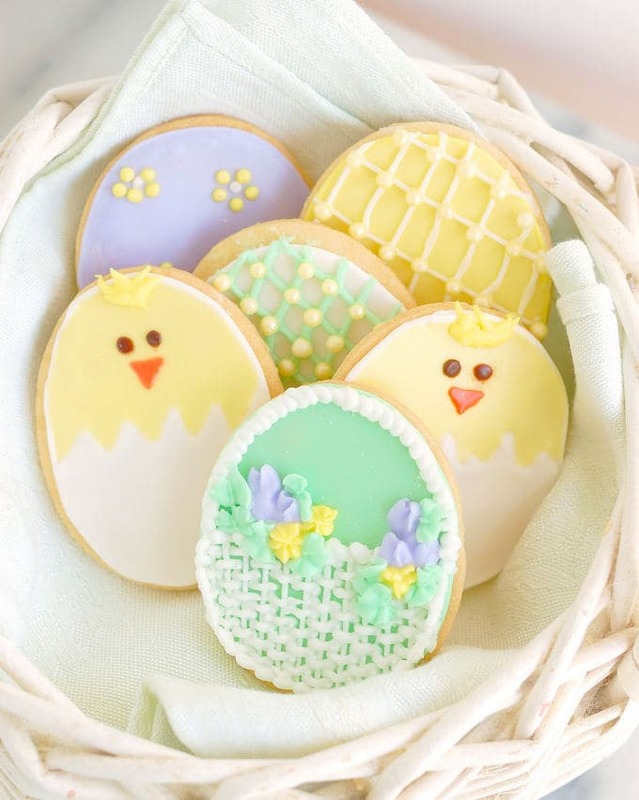 Decorated cookies are a great place to start practicing, or to perfect, your piping skills. You can make the cookies as simple or elaborate as you like. Cream the butter with the sugar, salt and extracts on low speed until softened and well combined. Increase the speed to medium high and mix for 1 minute to slightly aerate (see note 1). Scrape the bowl and the beater. With the mixer running on medium-low, add the egg and mix until incorporated. Add the flour all at once and mix just until combined. Dump the dough on to a floured surface and knead until all the flour is incorporated. Form the dough into a disc, wrap in plastic and refrigerate at least 1 hour or up to several days. Preheat the oven to 350°F. 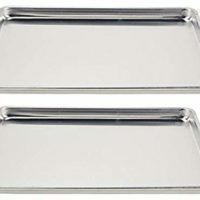 Line 2 half sheet pans with parchment paper. Roll the dough on a lightly floured surface to 1/8" thick. 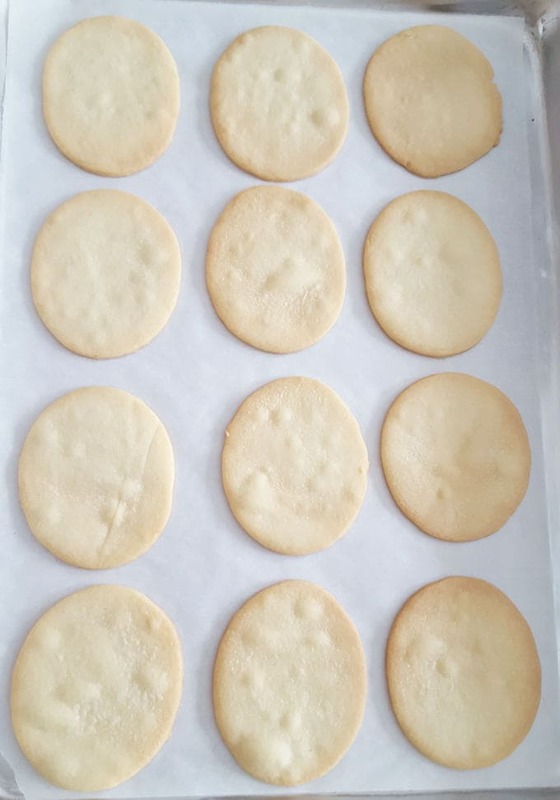 Cut the desired shapes and set the cookies onto the prepared pans. Re-roll and cut the scraps until all the dough is used up (See note 2). Bake until the edges are just beginning to brown and the dough is set. Cool on a wire rack before decorating. Combine the whites and 1/2 the sugar in a mixing bowl. Beat (not whisk) on low speed until there are no lumps of sugar. With the mixer running, add the remaining sugar and mix until combined. Scrape the bowl. 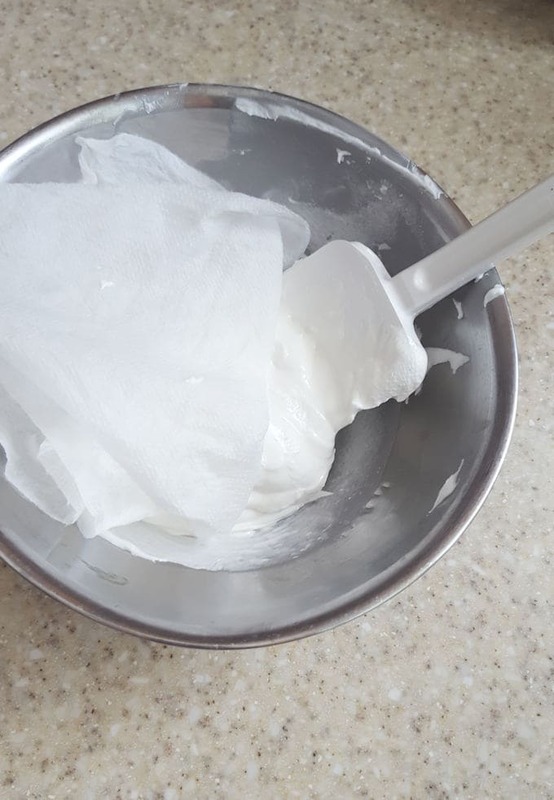 Increase the speed to medium high and beat until the mixture is aerated and becomes whiter, 2 minutes (see note 3). Color as desired with paste color. 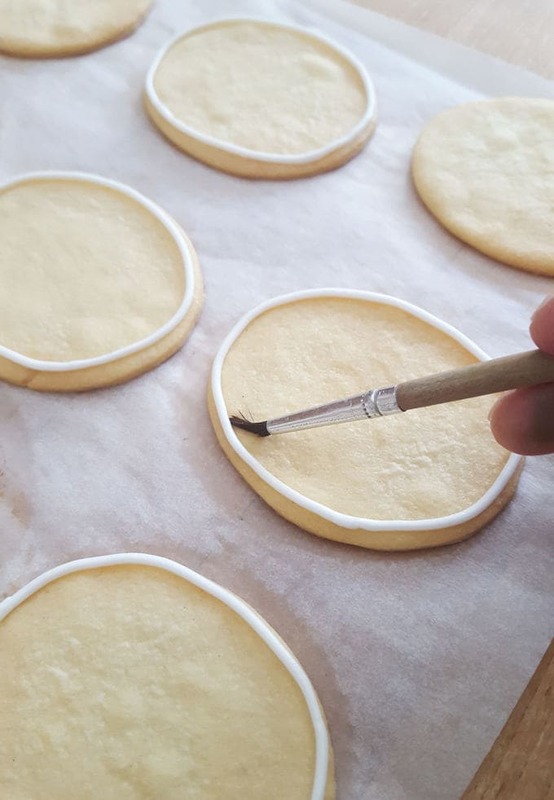 Pipe outline on each cookie, let the outline set, then flood with thin icing to fill in the shape. Pipe decorative details. Don't over aerate the butter and sugar. Too much air in the dough will cause the cookies to puff up in the oven, distorting the shape. To work ahead you can roll and cut the cookies. Wrap and freeze on the sheet pan. To bake, place them in the oven straight from the freezer without defrosting. 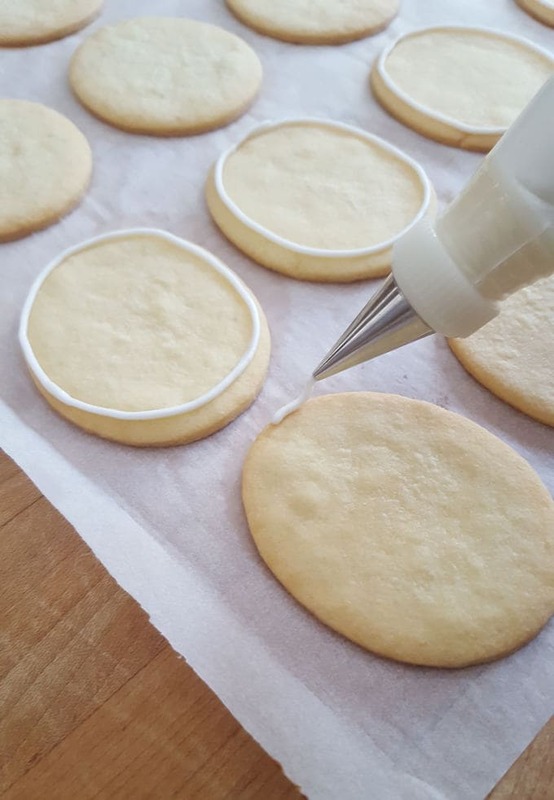 Add a few drops of water or extra sugar to adjust the consistency of the icing based on what you're piping. Use thinner icing for "flooding" the cookie and thicker icing for piping outlines and details. If you use liquid food color you may need more sugar to thicken the icing. Gorgeous cookies Eileen, you are a great baker. Awww, thanks Cheri. It’s just many years of experience. Hi Eileen, those are the most beautiful, adorable, “oh, I don’t want to eat them” cookies I have ever seen! I am going to make them and then slab the icing on them. Amazing! You are an artist! 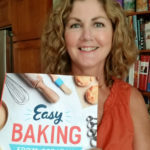 Thanks, Mary Ellen! They taste good no matter how they’re decorated. My favorite way to eat them is to skip the icing and sandwich them with raspberry preserves. Let them sit for a few hours to meld with the jam. Yum! The nice thing is that they can be as simple or fancy as you like. Thanks for reading, Trang.